Aghia Marina. 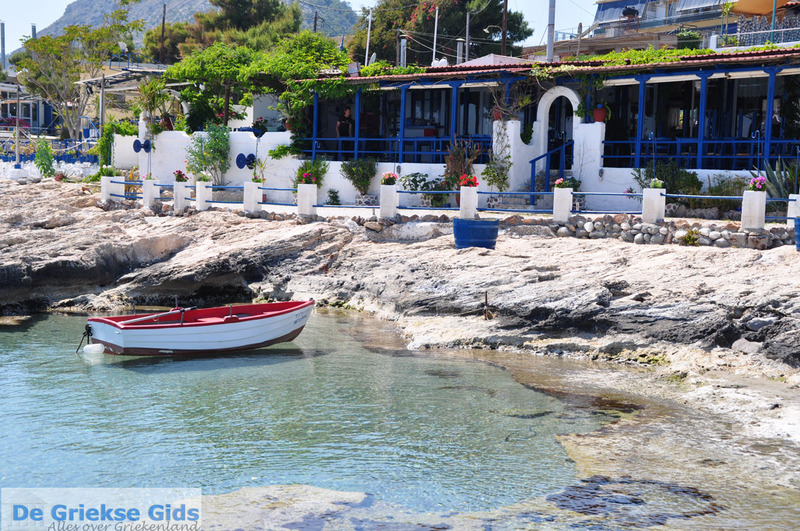 Aghia Marina is the most popular resort on the Greek island of Aegina. 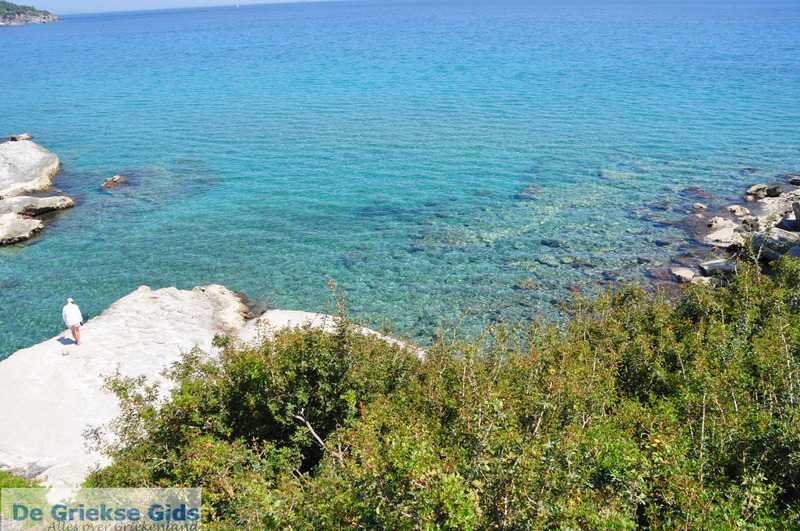 It lies in the east of the island in the middle of the homonymous bay, twelve kilometres from Aegina Town. 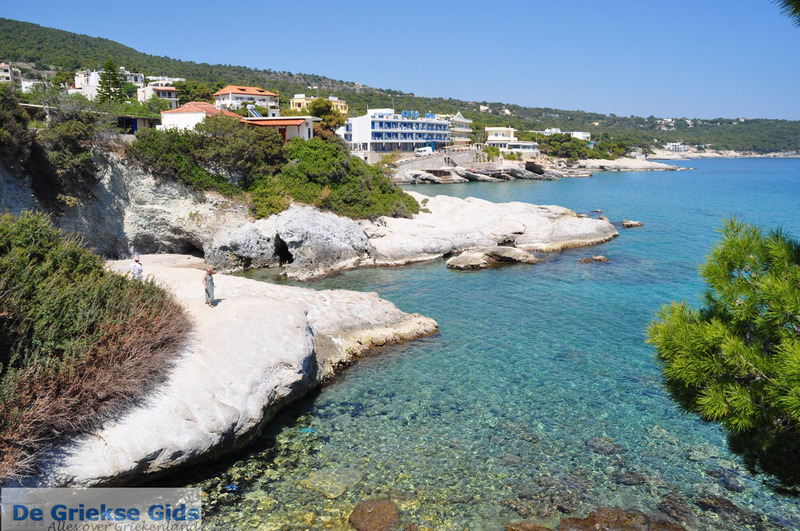 The location of Agia Marina is very nice, because green pine forests and mountains surround it. 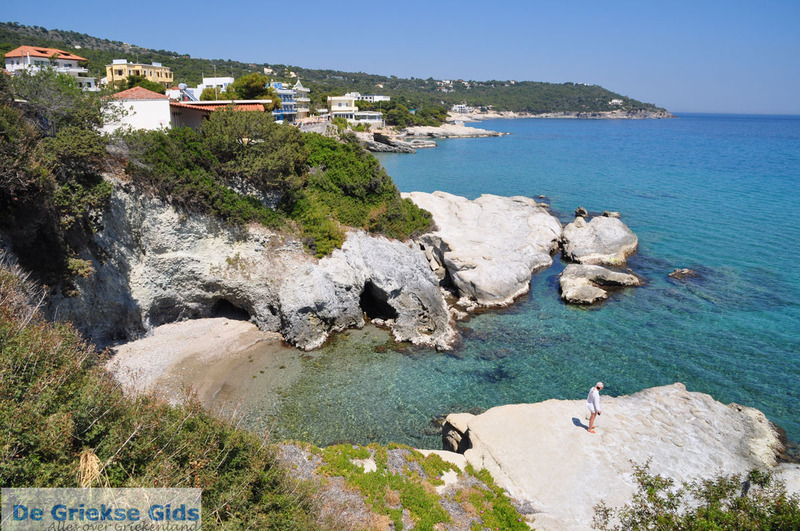 The sandy beaches are among the best on the island. 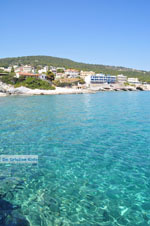 The beautiful bays, pine forests, sandy beaches and the surroundings are breath taking. Very pleasant is the fishing port where all kind of boats moor. There are numerous tavernas and restaurants where you can enjoy delicious Greek specialities and a glass of Retsina. 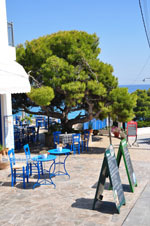 Try also the traditional ouzeri and order delicious Greek appetizers (mezze). 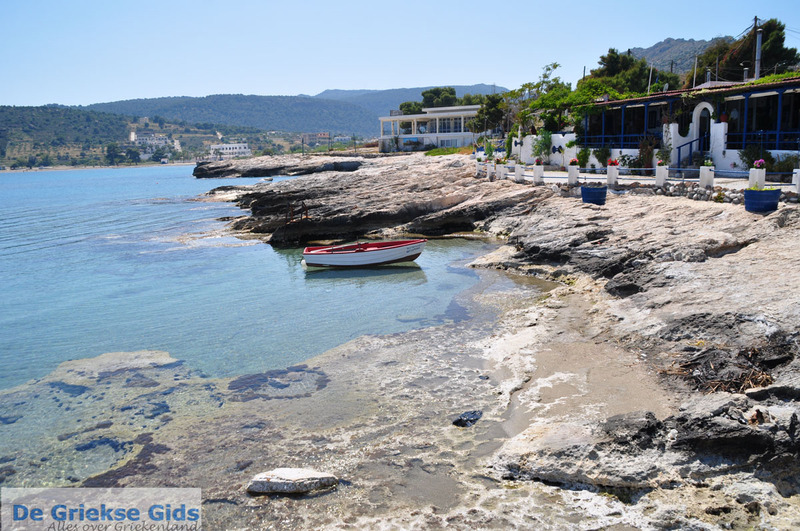 Aghia Marina is popular with those who love entertainment and people who love all kinds of water sports. 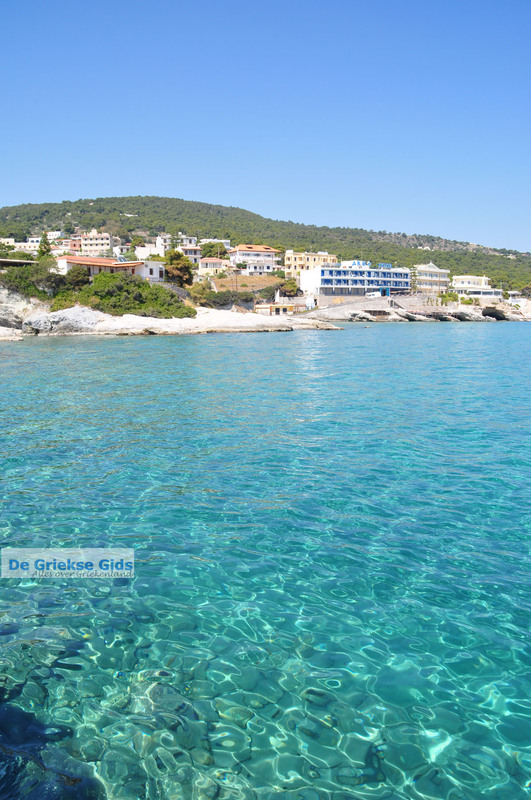 The sea is shallow, especially suitable for families with small children. In the rocky north, it is ideal for snorkelling. 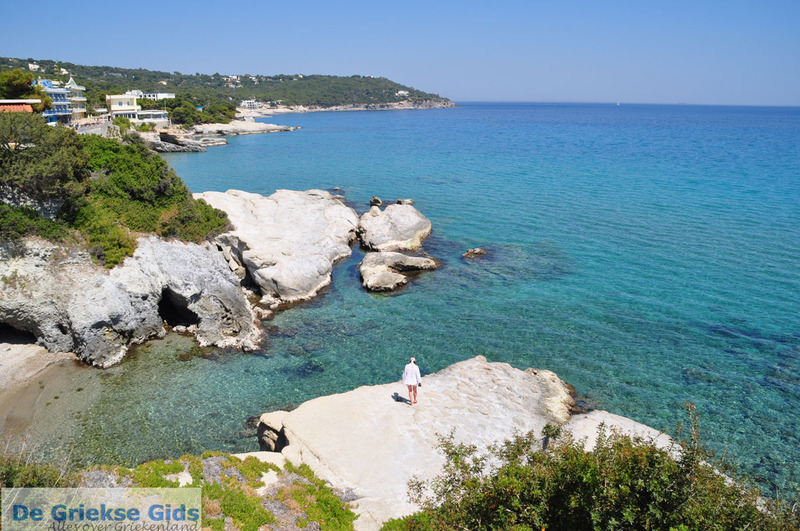 On the beach of Aghia Marina the Aghia Marina church, devoted to Saint Marina is located. 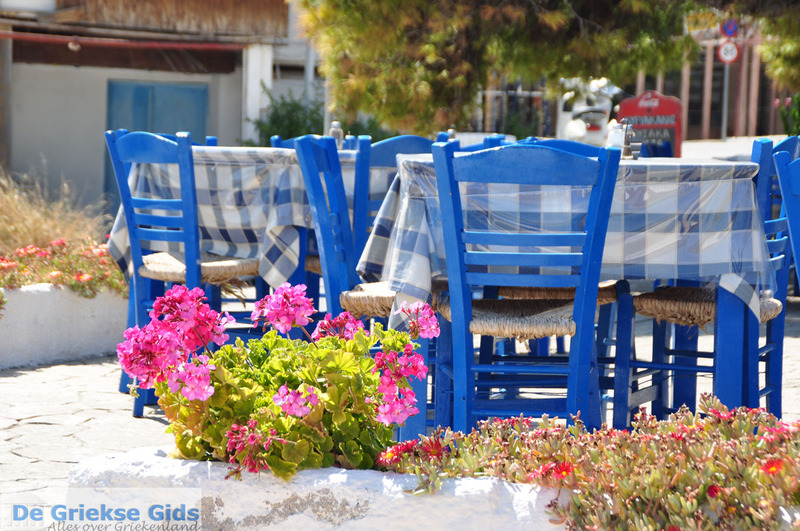 Every year on July 17th festivals are held in honour of the patron saint of the village. Aghia Marina has many good hotels. You can use Aghia Marina as a base to explore the island. 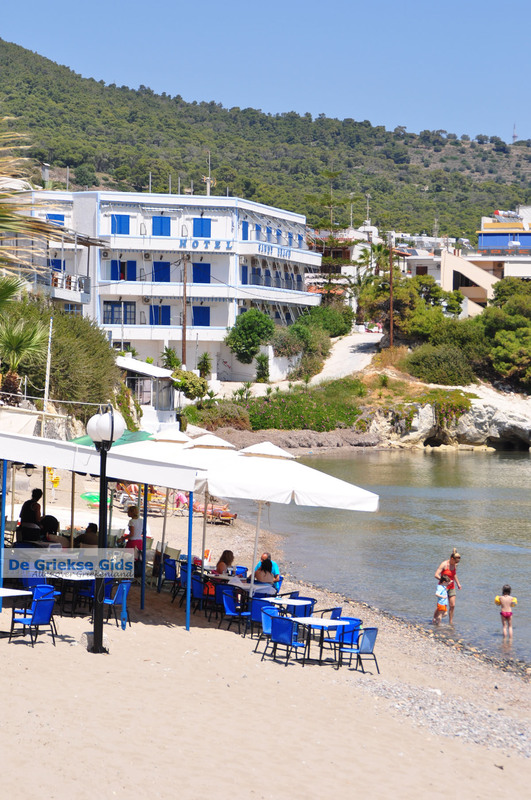 Agia Marina is home to approximately five hundred permanent residents who are mostly engaged in fishing and tourism. 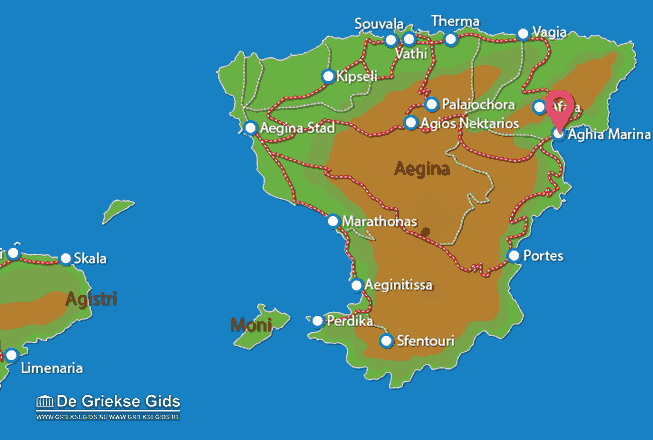 Aegina: Where on the map is Agia Marina located?